Erected by Louisville Civil War Roundtable. Location. 37° 59.504′ N, 85° 56.752′ W. Marker is near West Point, Kentucky, in Hardin County. Touch for map. Marker is located in Fort Duffield Park. Marker is in this post office area: West Point KY 40177, United States of America. Touch for directions. Other nearby markers. At least 8 other markers are within walking distance of this marker. 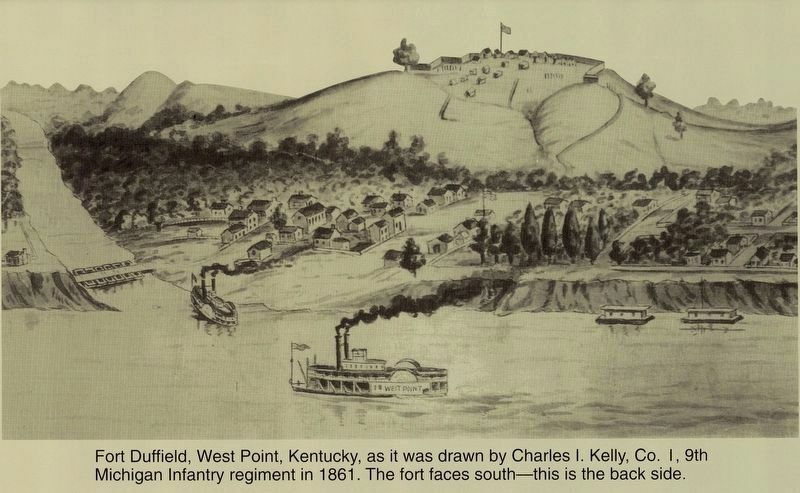 Louisville, Henderson & St. Louis Bridge (within shouting distance of this marker); Redoubt (approx. 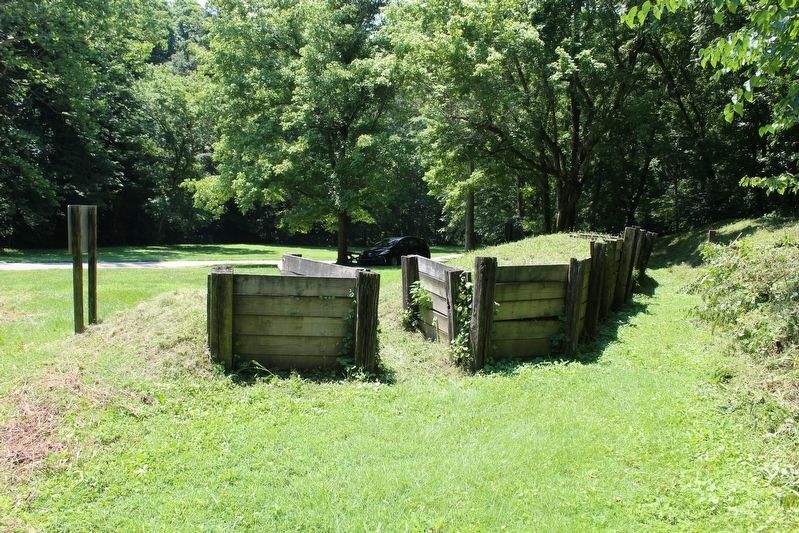 0.2 miles away); Civil War Fort Duffield (approx. 0.2 miles away); Fort Duffield (approx. 0.2 miles away); U.S. Fort Duffield (approx. 0.2 miles away); Stuckey Gun (approx. 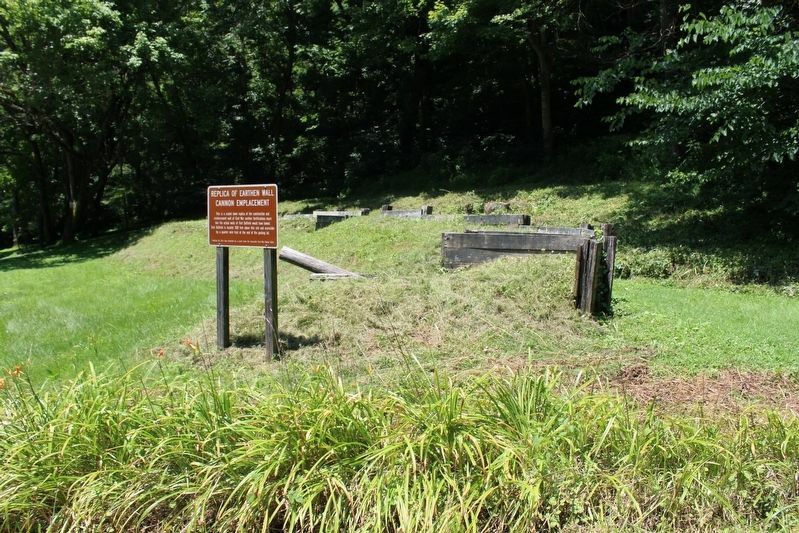 ¼ mile away); Civil War Fort (approx. half a mile away); West Point (approx. half a mile away). Touch for a list and map of all markers in West Point. More. 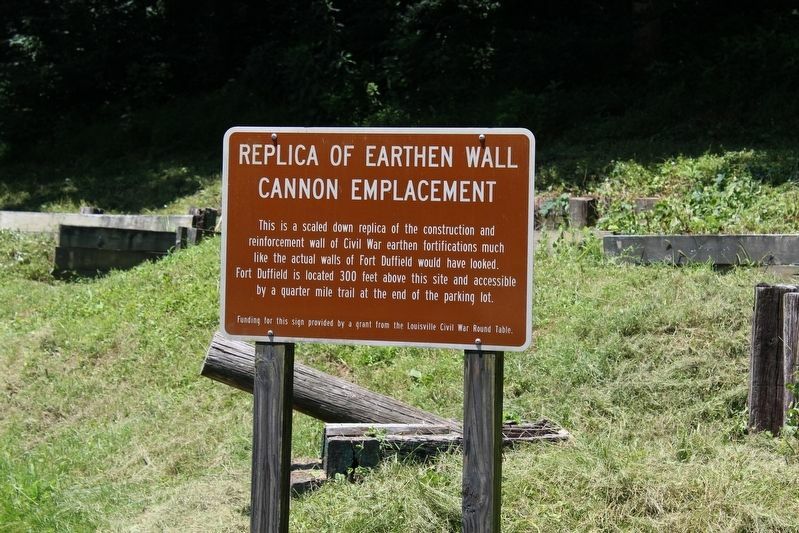 Search the internet for Replica of Earthen Wall Cannon Emplacement. Credits. This page was last revised on March 26, 2019. This page originally submitted on November 15, 2018, by Tom Bosse of Jefferson City, Tennessee. This page has been viewed 44 times since then and 5 times this year. Last updated on March 22, 2019, by Bradley Owen of Morgantown, West Virginia. Photos: 1, 2, 3, 4. submitted on November 15, 2018, by Tom Bosse of Jefferson City, Tennessee. • Bill Pfingsten was the editor who published this page.